We rotate several types of livestock through our organic and biodynamic pastures as part of our Planned Grazing Management. 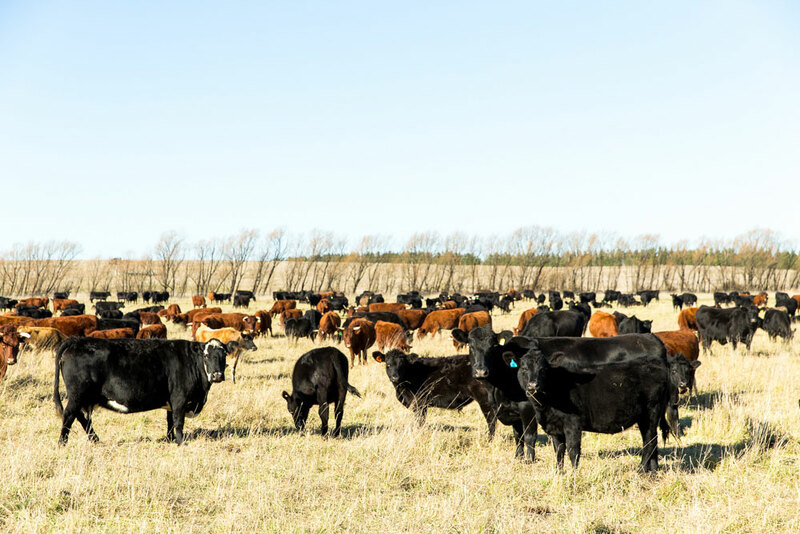 We currently have 200 head of Angus and Devon cattle, but are moving across to Devons which are better suited to our specific climate and soil types. We run cattle through each paddock before a new chicken flock goes in, to keep the grass down and add fertility to the soil. The birds love scratching around in the manure for tasty bugs, spreading it across the paddock for us as they go. We use our 80 head of Boer X goats to help control noxious weeds on our farms instead of chemicals or pesticides. In summer, we let the goats browse near Mulloon Creek when the blackberries have leaves and flowers. 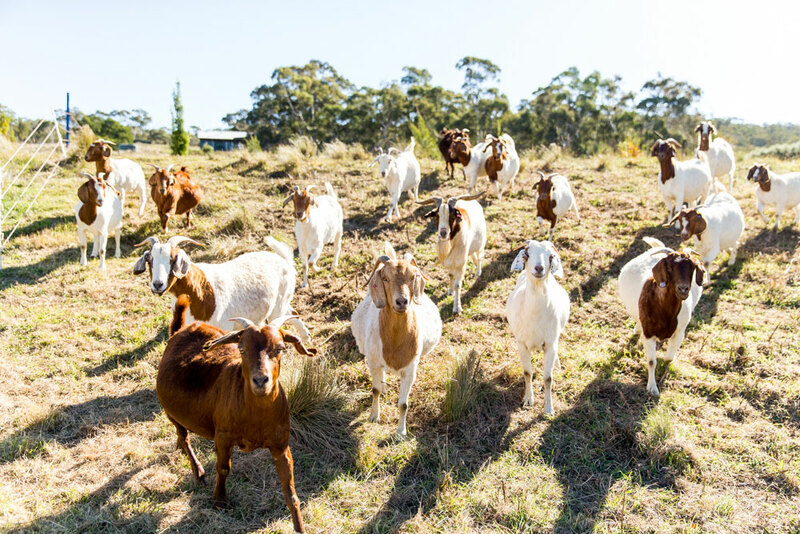 In the winter, the goats browse on the biodynamic paddocks between the two farms and utilise the poorer soil types in the eucalypt areas. Using goats in our paddocks also has a different impact on the land to the cattle. While cattle are grazers that tend to eat grasses, goats are browsers that are less selective in what they eat. This difference in ‘grazing’ styles encourages greater biodiversity in the system. We have four Berkshire pigs (three sows and a boar) and one Saddleback sow. These heritage breed pigs are suited to ranging and foraging and produce fast growing piglets. They love grazing on our biodynamic pastures and in our eucalypt forests. Our pigs are fed waste from our egg production enterprise, including eggs that are not suitable for sale. They are also a fantastic source of meat for our farm. We generally sell our livestock through traditional markets in New South Wales. If you are interested in buying our certified organic livestock, or periodically our certified organic and biodynamic chooks, please enquire below. Livestock and chook sales are for collection only, direct from our farm in Bungendore, NSW. Please add details about the stock you're looking to purchase. This will help us to come back to you with the best response. Thank you for your enquiry about our livestock. Our team have received your details and will respond to your shortly.